New Jersey’s Sales and Use Tax Act is most often cited to refer to sales taxes while the use tax http://www.state.nj.us/treasury/taxation/pdf/pubs/sales/anj7.pdf tends to be less well known. When goods or services are purchased outside of the state for use in New Jersey, and the sales tax was not collected by the out of state retailer, or collected at a rate less than the New Jersey sales tax rate, then the use tax comes into play. New Jersey recognizes the concept of reciprocity when considering the sales taxes of other states. This means that when goods or services are purchased and received in another state to be brought into and used in New Jersey, and sales tax is paid to that non-New Jersey state, New Jersey credits the purchaser for the taxes paid. However, New Jersey does not allow this credit unless there is a reciprocity agreement between the two states where both states recognize and honors the same reciprocity for each other. If the tax rate in the state is equal to or greater than New Jersey’s, no use tax is due. (New Jersey’s current sales tax rate is 7 percent.) For example, if the non-New Jersey purchase was for $100 and the sale tax rate paid by the purchaser in that state was 5 percent, the purchase paid taxes in the amount of $5.00. Thus, the New Jersey use tax would be $2.00. If the non-New Jersey purchase taxed at a rate of 8 percent, no additional use tax would be due and owing to New Jersey. If the out of state purchase is delivered directly to the purchaser in New Jersey, there is no credit for any sales tax paid to the other state. New Jersey’s use tax is therefore due for the full 7 percent of the purchase price, including any delivery charges. When taxable goods or services are bought outside the country, there is no credit given for any taxes that may have been paid by the purchaser to the foreign country. If a business is registered to do business in New Jersey and that business sells and/or delivers goods or services to a purchaser in New Jersey, that business should collect New Jersey sales tax and the purchaser does not have to worry about sales or use taxes. However, if the business is an out of state business which is not registered to do business in New Jersey, it cannot collect New Jersey sales tax. In that case, it is up to the purchaser to pay use tax on the good or service. It is important for businesses to remember that some items are taxable because they are used in the operations of a business, rather than for personal or household use. For example, paper products may be exempt when purchased for personal/household use. However, such paper products are taxable when used in a business and therefore, if taxes are not paid at time of purchase, use tax is owed. 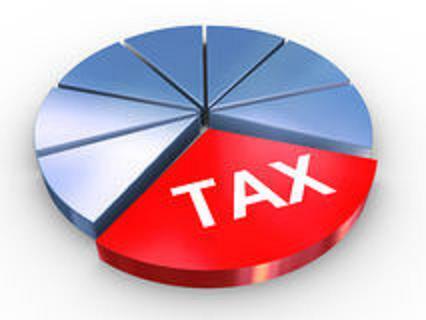 Use taxes may be reported on Forms http://www.state.nj.us/treasury/taxation/prntsale.shtml ST-18 or NJ-1040 (for individuals), or Form ST-50, ST-51, ST-18B for businesses. The delivery location of the purchase is generally pivotal. For instance, when a purchaser buys a gift in New Jersey and arranges for the seller to deliver the gift to an out of state recipient, no New Jersey sales or use tax is required. However, if the item is delivered to a recipient within the state, sales tax is owed. Likewise, materials and equipment purchased by a contractor in New Jersey are subject to sales tax as long as the contractor accepts delivery in New Jersey, even if the materials or equipment are intended for use in an out of state construction job. If the materials are delivered directly to the out of state job location, they may avoid the New Jersey sales tax. However, retailers such as florists http://www.state.nj.us/treasury/taxation/pdf/pubs/sales/anj10.pdf are treated somewhat differently. For instance, a New Jersey florist must charge and collect New Jersey sales tax regardless of where the flowers or gifts are delivered even if the florist which accepted the order has to call another florist outside of the state to complete the actual delivery out of state. The sale is deemed to have taken place at the time and place that the customer made the original order. McLaughlin & Nardi, LLC’s tax attorneys are experienced with both Federal and New Jersey state tax laws, and with obtaining tax benefits for both individuals and businesses in the state looking to minimize their tax liabilities. To learn more about what we may be able to do to help, please visit our website, https://www.esqnj.com/ or contact one of our New Jersey lawyers by e-mail or telephone at (973) 890-0004. Tagged: "New Jersey Sales and Use Tax", "New Jersey Sales Tax", "New Jersey Tax" and "New Jersey Use Tax"